If you live in Michigan, your auto insurance costs an average $1,930 more than if you lived in Maine. Those are the most and least costly states in a compilation released this week by the insurance-shopping website Insure.com. The differences aren't only, as you might suppose, all about density of traffic or frequency of accidents. Rather, a mix of state laws, competition by insurance companies and frequency of fraud add into the computation of insurance rates. To see how this operates, let's take a closer look at the three most costly states and the three least expensive. Then we'll give you a list of the top 10 and bottom 10 (numbered from 1 to 51, including the District of Columbia). To check your own state, Insure.com also has state-by-state rundown and an interactive map with more info for each state. 1) Michigan -- Michigan's high premiums are all about medical insurance requirements. Michigan is the only state that mandates drivers to buy personal so-called PIP (personal injury protection) insurance that will cover medical expenses for you and any passengers in case of an accident. The high cost of insurance causes many drivers to defy the law and go without -- an estimated 21 percent of drivers. That in turn boosts rates for the remaining drivers who do get insurance. The average Michigan driver pays $2,738. The national average is $1,325. 2) Montana -- Montana repeats its improbable second-place finish this year. With no large urban areas, Montana nonetheless has the highest vehicle death rate in the country -- 22.6 deaths per 100,000 people. Apparently the wide-open spaces encourage speeding and fatalities. The average auto insurance bill in Montana is $2,297. 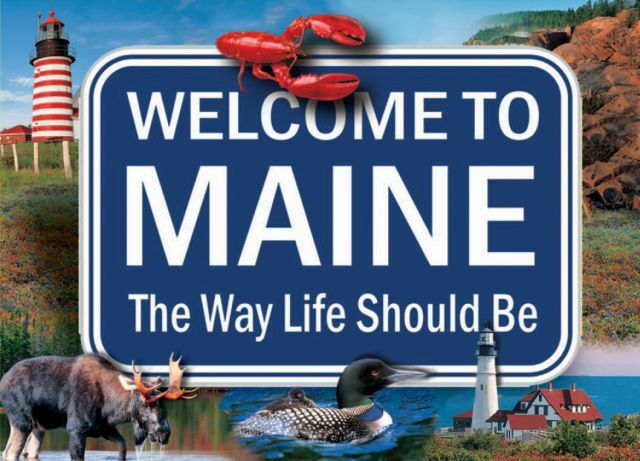 51) Maine -- Maine repeats this year as the lowest-cost state. It has few urban areas, thus has less tangled traffic and lower accident rates. While Maine gets a lot of snow, it only rarely sees tornadoes or hailstorms that can cause costly damage to cars. And Maine drivers do their duty: Only 4.7 percent drive without insurance. The average Maine premium is $807. 50) Ohio -- Ohio has two large cities, Cleveland and Cincinnati. But the influence of that urban traffic is overridden by the robust competition among insurance companies. More than 650 companies write auto policies in the state, compared with 134 in California and 40 in New Jersey. That competition results from firm but not stifling regulation, said Perk Reichley, who owns an Ohio insurance agency. The average Ohio premium is $899. 49) Wisconsin -- Like Ohio, Wisconsin has a competitive insurance market. Large swathes of the state are rural, and Wisconsin drivers aren't very litigious. The average Wisconsin premium is $912.